First of all -- cover love! How pretty is it?! As soon as I read the summary, I knew that I wanted to read this book. What a fun concept! It's kind of ironic that this book and Frozen both came out around the same time, because both speak to the beauty of winter. Which, as a Florida girl through and through, takes a lot for me to appreciate. LOL. For awhile now I've been seeing the quote, “Someday we will be more than words in the dark,” so I felt a nice sense of familiarity when I encountered it in the book. And after that -- WOW. What a perfect, perfect phrase for what was going on. So bittersweet and so descriptive. So much emotion and exposition in one single sentence. It's perfect. Finally, let's talk about the boys. I loved them both! But between you and me, I loved Theron just a little bit more. 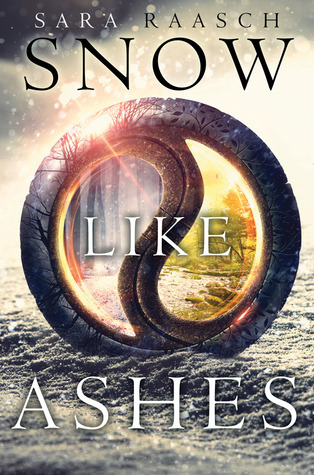 I'm scared about what will befall all the characters I've come to love as my own family in the second book in this series: Ice Like Fire. I cannot wait to spend time with them again.